Hunter boots. Can't live with 'em, can't live without 'em. It's been raining quite a bit here in NC so I threw these boots on one cloudy (calling for rain) day on a trip to the ultimate in dinning experience: chicken and waffles. But, as soon as we stated snapping these pics, the sun came out and shined her glory all over us. I blame the Hunters or course, they completely ruined my rainy day feeling and obviously jinxed me. I immediately swapped them out for some gold flip flops to not look like a fool walking around downtown. Has this ever happened to you in rain boots? By the time I went to take them off, it was already so hot from the sun that I literally has to wiggle it to get the dang things off my feet. It was a sight let me tell you- one my husband gladly sat back and enjoyed. On another note, Im pairing up with the lovely Grace Lee today from Haute Couture to show you how we both love our Hunters (when the weather is right anyway...). How adorable is her trench+Hunter combo? She reminds me that I definitely need a new trench for fall and maybe some yellow rubba boots as well!! 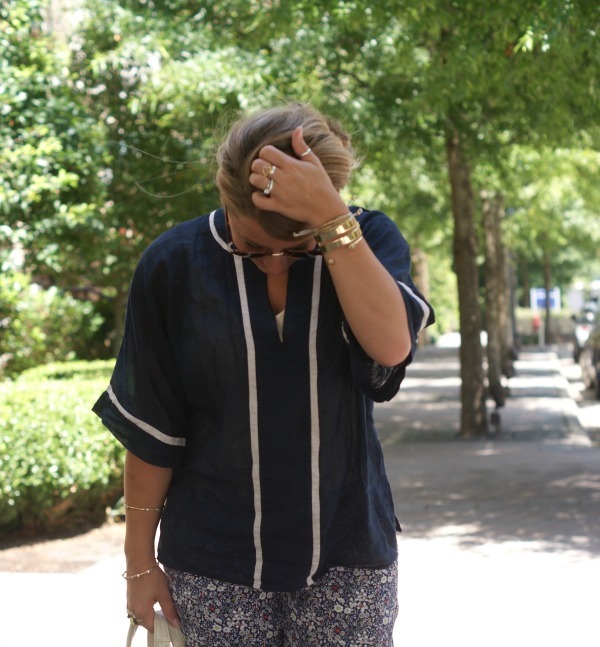 Make sure you go check out her outfit deets! 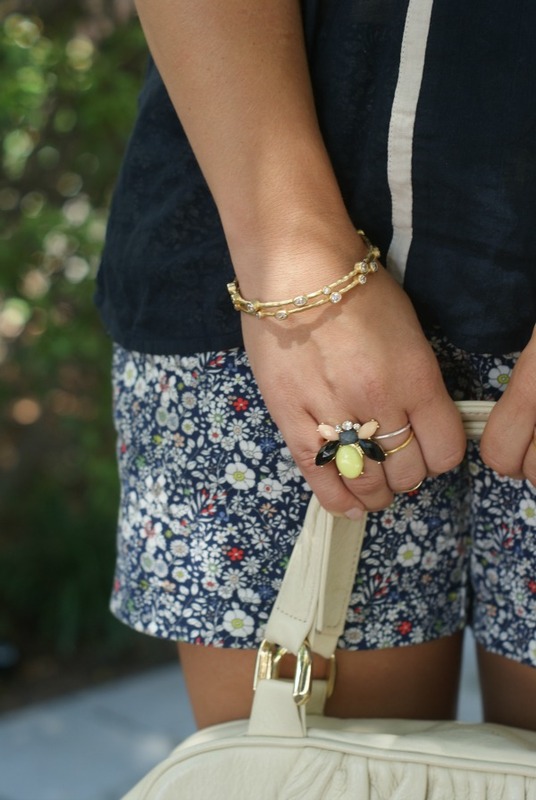 How adorable is that little bee ring from Max and Chloe? I am in love. This little guy has been going everywhere with me on my finger. Have you entered the Shop Fancy Things Giveaway? 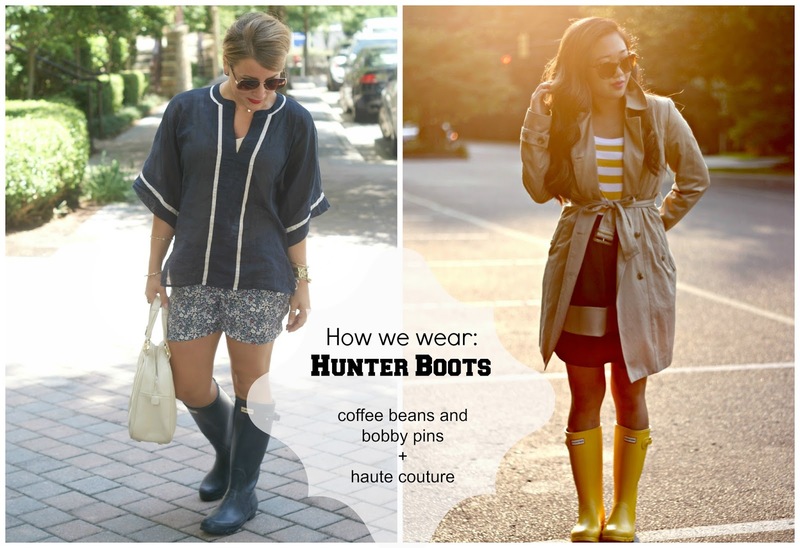 Are you a fan of Hunters or rain boots in general? I have been looking for a great deal on a pair of Hunter boots, I can't imagine why I don't already own them!